Introducing a bespoke Capsule Collection of 15 wallpapers–five patterns realized in three lustrous colorways–featuring Benjamin Moore premium paints. 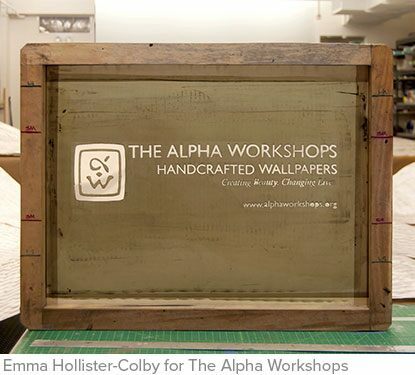 In NYC, five artisans spend their days creating bespoke, hand-painted wallpaper at The Alpha Workshops. 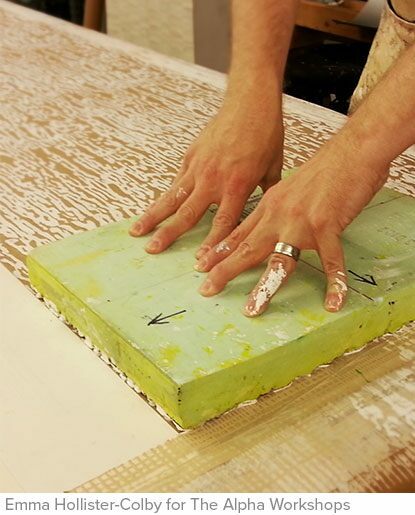 Signs of each artists’ hands find a way into the textured wallpaper. You see it in the sumptuous tactility of dripped paint. In the still-visible imprint of the crafter’s sponge. In the diaphanous layers of shimmering color, only achieved with the lightest touch. At Alpha, there’s an understanding: true beauty is in the hand. That’s why, from the beginning, Benjamin Moore has been their paint of choice. After decades of close collaboration, Benjamin Moore’s color specialists have worked together with Alpha’s wallpaper artisans to join the best materials with the best hands. Benjamin Moore’s premium paints, including CENTURY®, Aura® and Studio Finishes®, have been praised for their depth of color and finish. They beckon you to want more. 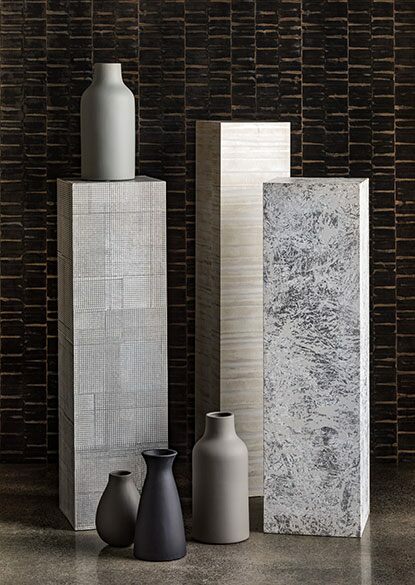 Now, used with care and precision by Alpha’s team, this collection can coat walls in an artful new way. 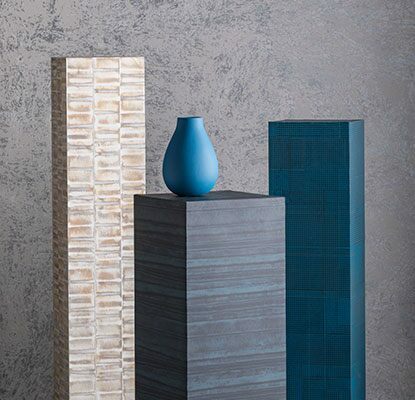 With its Soft Touch Matte Finish, CENTURY paint contributes depth to every Capsule Collection pattern, including OBSIDIAN Q5, VIRIDIAN O6, MARCASITE Q1 and many more signature CENTURY colors, as seen in our Noteworthy blog. Most of the wallpaper patterns take a full day to create a single roll. For a truly custom-made paper, customers and designers can add a touch of their hand by choosing a color scheme for their textured wallpaper.